One of the most astounding of all multifloral Paph. primary hybrids, Paph. 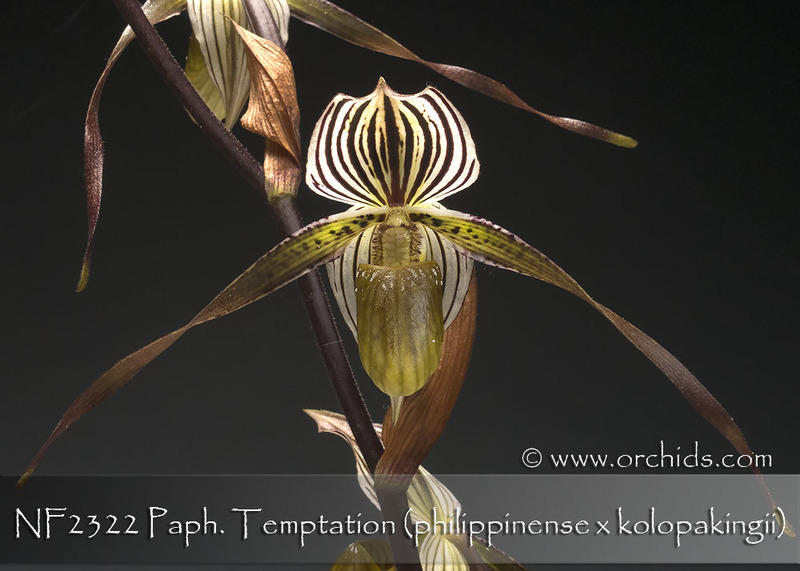 Temptation has already garnered over 24 flower and culture awards from the American Orchid Society ! 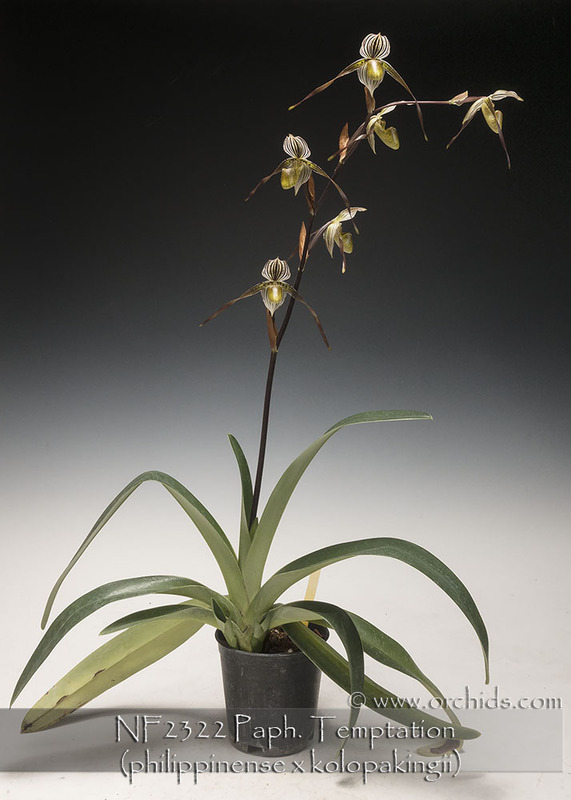 Capable of producing up to seven flowers on a single spike, the large 4+” flowers are gracefully presented on a stately slightly arching inflorescence. Its richly colored flowers are accented with bold burgundy-brown striping with its charmingly twisted petals giving the impression of a flock of birds in flight. A masterpiece in multifloral breeding, Award Quality, and Very Highly Recommended !